N4468N is a 1980 Cessna 182 Skylane owned and operated by PFC since 1996. In 2009, the aircraft was converted to a Jet-A fueled FADEC controlled SMA 230-305 “Diesel” engine. In 2014, the club completely refurbished the interior of the aircraft, and upgraded the avionics to include an Aspen Evolution 2000 PFD&MFD and STEC 55X autopilot. The first generation SMA diesel engine served the club well for 8 years and 2000 hours and even took part in setting a world record for endurance while powered by biofuel. Beginning in July 2017, the aircraft was converted back to avgas powered by an O-470-U along with a JPI EDM 930 engine monitor. N6189Q was acquired by the club in November of 2010. 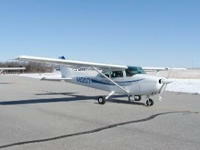 The 2008 model year Cessna 172SP features the latest G1000/GFC700 avionics. The avionics provide excellent situational awareness to the pilot for greater safety and efficiency. The club maintains an XM satellite subscription and navigation data updates for North America. The interior is leather and equipped with airbag seatbelts. N8050J was acquired by the club in March of 2017. 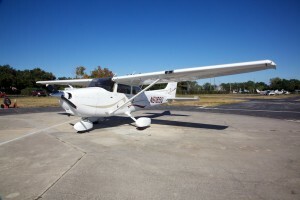 The 2005 model year Cessna 182T features the latest G1000 avionics providing excellent situational awareness to the pilot for greater safety and efficiency. The club maintains an XM satellite subscription and navigation data updates for North America. The interior is leather and equipped with airbag seatbelts. N736ZV was a 1979 Cessna 182RG (retractable gear) owned and operated by PFC between 2003 and 2013. The aircraft was perfect for satisfying the “complex” requirement for the commercial certificate. And at 160 knot cruise, was capable of getting where you were going quickly. The plane even went to Haiti to help in the post-earthquake relief effort in 2010. 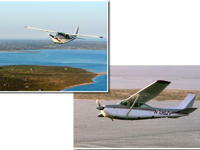 N63017 was a 1981 Cessna 172P owned and operated by PFC between 1984 and 2010. The aircraft was upgraded with an 180hp engine. 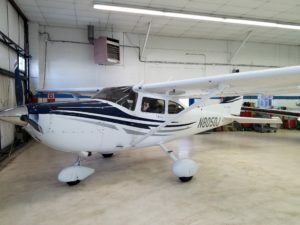 With a nearly 1,000 lbs useful load, and equipped with an STEC 30 autopilot, this aircraft was incredibly versatile—suitable for both cross country trips and local training flights. 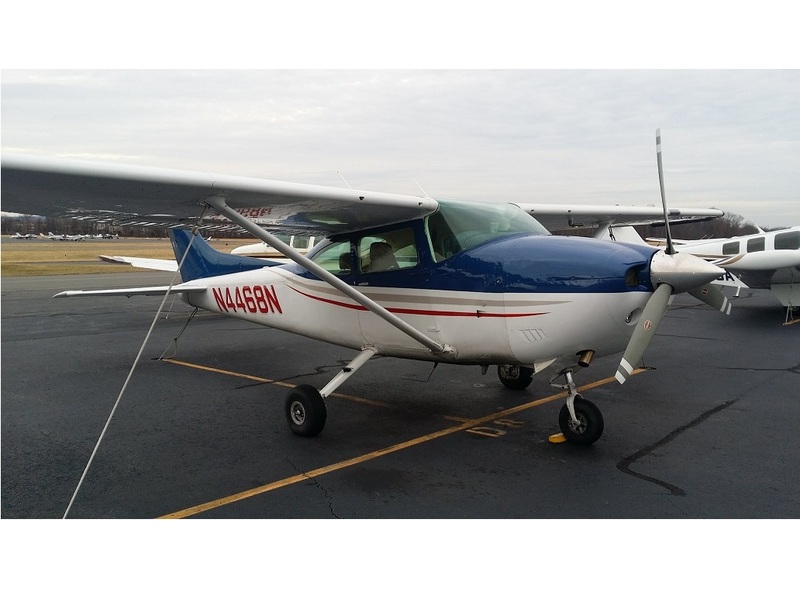 As with all other PFC aircraft, the aircraft was equipped with WAAS upgraded Garmin 430W and Strikefinder. N63017 was replaced by N6189Q (G1000 C172 SP) in 2010. N6338F was a Cessna 172 owned and operated by PFC between 2005 and 2015. The aircraft and been upgraded with an 180hp engine. With nearly a 1,000 lbs useful load, and equipped with an STEC 30 autopilot, this aircraft incredibly versatile. 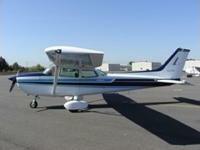 As with all other PFC aircraft of the time, 38F was equipped with a Garmin 430W GPS and Strikefinder.